I was welcomed into Lofton Security with open arms. Mr. Robert and Mr. Tom are very down to earth. They are always their for us whenever needed. They make you feel like more than an employee. It's nice to have your supervisors call or email just to check to see if we are okay. I love my job and my co-workers. Lofton Security is a great company to work for. They gave me a chance to better myself just by giving me a job to begin. Thank you for all the love and support. Mr. Tom and Mr. Robert helped me and my family during a time when my wife was out of work. My experience with Lofton and the management has been very positive. I've received valuable service from Lofton Arkansas. I receive great service from Thomas Maupin who represents your company with the highest standards that far exceeds expectations. Since 1979, Lofton has built a reputation on providing staffing solutions that companies can rely on to make their businesses more efficient, cost-effective and profitable. Our founder, Mr. Thomas I. Lofton, spent more than fifteen years in human resources management in the chemical industry. Utilizing his experience, he began his own temporary help company as a franchise of a large national company. That two-room office has grown over the last 40 years to the largest locally owned, independent staffing and security company in Louisiana, boasting eight offices in Louisiana, two offices in Texas, and one in Arkansas and Mississippi. Our corporate office is located in Baton Rouge, LA. In 2000, Lofton became completely independent and changed its name to reflect the entrepreneur who began our business. Tom is a native of Memphis, Tennessee and a graduate of Lambuth University with a Bachelor’s degree in Computer Science. 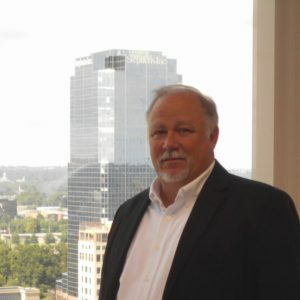 Tom is a 25 year member of American Society Industrial Security (ASIS) serving multiple terms as Chairman of chapters in Alabama and Tennessee. Tom is also a graduate of the FBI Citizens Academy and member of its Alumni Association. Tom’s previous experience includes security and management positions with AT&T (BellSouth), Coca Cola and Entergy. Tom is credentialed as a Security Company Manager, Commissioned Security Officer, and a Training Administrator with the Arkansas State Police. Tom is active in the Little Rock Area Chamber of Commerce and also the Arkansas State Chamber. Tom manages Lofton’s operations in Arkansas and focuses on the development and maintaining client relationships as well as ensuring Lofton quality and standards are being met by assignment employees. Tom’s 25+ years of being a client of security service providers brings a unique perspective and ability to understand client needs.